The Inspiration: The first thing I think of when I think love is: my husband. 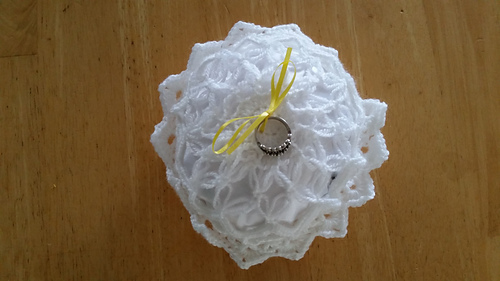 I am married to the love of my life. He is my soul mate, my equal in the things that matter, and my opposite where it counts. He completes me. If I had to create something that said “LOVE” to me, I would have to be inspired by my own marriage to him. 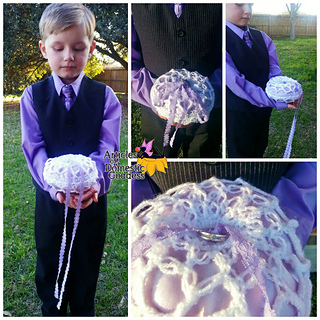 I wish I crocheted more during the planning of my own wedding because I would have loved to have created my own ring bearer pillow. 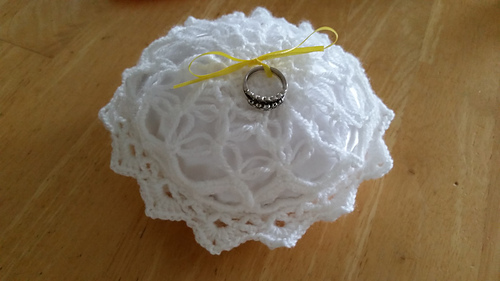 This set matches perfectly with the Love is in the Air Wedding Gloves/Wristlet pattern and the Love is in the Air Wedding Veil pattern, which both also utilize the solomon’s knot stitch or lover’s knot stitch. 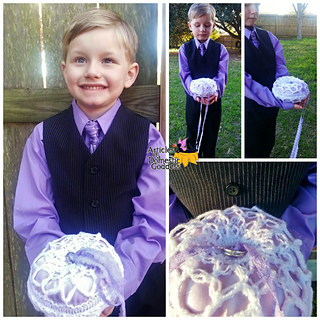 Materials: To create the Love is in the Air Ring Bearer Pillow, you will need an F hook, a tapestry needle for weaving in ends, scissors for cutting the yarn, a measuring tape to check gauge and about a yard of fabric for lining the pillow. The preferred yarn used in this project is Loops & Threads Woolike. 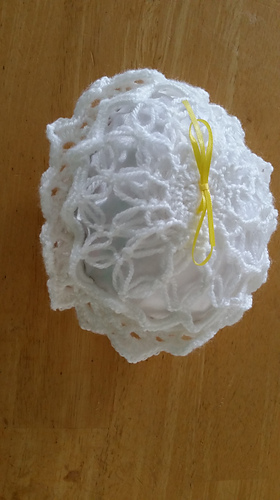 It is a superfine or size 1 thread, but it has the feel and look of regular wool yarn.